Wise Owl’s ‘Food State’ Vitamin C with Bioflavonoids is a natural nutritional supplement in a whole food complex, for optimal absorption & utilisation. Suggested dose is 1 tablet daily, so this is a 2 months supply. A large percentage of vitamin C tablets on the market are synthetically made ascorbic acid (or variations of). In real food, natural vitamin C complex includes proteins, enzymes, amino acids, carbohydrates, lipids & fatty acids. 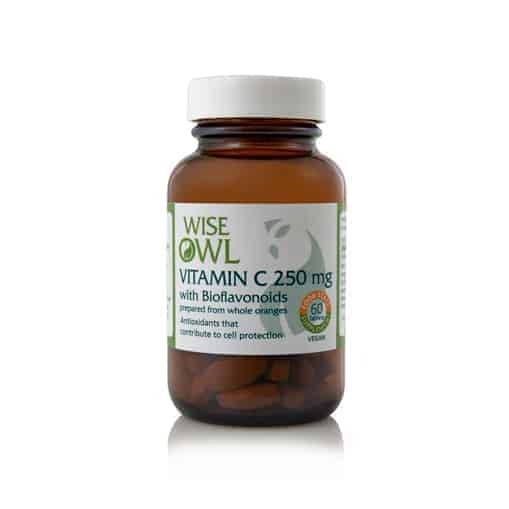 Wise Owl's 'Food State' Vitamin C with Bioflavonoids is a natural nutritional supplement in a whole food complex, for optimal absorption & utilisation. Vitamin C plays an essential role in the several processes in the body. It is a water-soluble vitamin that dissolves in water & cannot be stored by the body. Excess amounts of vitamin C are eliminated in urine so must be replaced every day in our diet to provide a continuous supply. Vitamin C is a water-soluble vitamin that cannot be stored by the body. Excess amounts of vitamin c are eliminated in urine so must be replaced every day in our diet to provide a continuous supply. growth and repair of tissues in all parts of your body. helps the body to make collagen, an important protein used to make skin, cartilage, tendons, ligaments, and blood vessels. is needed for healing wounds, and for repairing and maintaining our bones and teeth. metabolism of Tryptophan (a brain chemical). maintenance of normal blood cholesterol levels. Vitamin C is also recognised as a valuable antioxidant. Antioxidants help to block some of the damage caused by harmful free radicals. The build-up of these free radicals over time may contribute to the ageing process. It may also contribute to the development of serious health conditions such as, heart disease, and arthritis. A large percentage of vitamin C tablets on the market are synthetically made ascorbic acid, or variations such as calcium ascorbate, magnesium ascorbate or potassium ascorbate. These laboratory produced powders are not natural complex vitamin C. They are chemically synthesised isolates that have been manufactured industrially. These synthetic molecules mimic only one component of the multitude of life-supporting nutrient complexes that are actually found in real natural vitamin C complex such as proteins, enzymes, amino acids, carbohydrates, lipids and fatty acids. 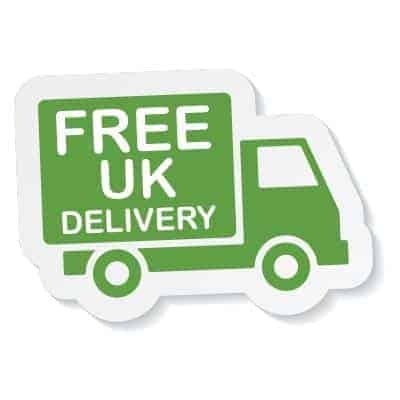 Wise Owl specialise in natural nutritional supplements in a whole food complex. Product Ingredients: Vitamin C and bioflavonoids incorporated in citrus pulp; vegetable stearic acid, tablet coating: vegetable cellulose.